Quitting a job is a tough decision. Sometimes due to some unavoidable circumstances you cannot do much to save your present job. In other words, you leave no stone unturned to make your job work. Usually people work for 8-10 hours a day. That means you spend maximum of your time, you are awake, at your office. You might not be working in a typical office setting; you may work from home; even then you are giving that much time for your professional life. So you need to spend this valuable time happily. If your work is making your life miserable, you need not think twice. You tend to resign and that’s a wise decision. You work for money. You want a salary to meet the expenses of your family. Your salary should cater to your expenses and savings. But for some reason, like you had a bad performance review and your salary expectations have not been met, you are not getting the satisfying amount. Now you can think of a job shift. Work must be fun. You work to learn, unlearn and relearn. And the whole process must be an enriching experience for you. You stop having fun at workplace, you stop learning new things and gaining new experiences. It’s time to move somewhere else. You do not get any positive feedback and never hear the word ‘thanks’ from your boss, seniors or colleagues. This can be frustrating. Everyone feels happy for being praised, which also gives a boost for doing better work. Not getting a simple ‘thanks’ may hurt you and your life at work gradually becomes hellish. You may make mistakes, everyone does. But your senior or boss must tell you how to do things in a better way. If you get criticized in front of others and this happens again and again, you must quit. Are you willing to test the waters? If you find yourself trapped in any of the situations mentioned earlier and yet feeling confused about whether to quit or not, you can talk with your colleagues about how you are perceived in your role. In a discussion with your manager regarding the same, if he shows his unwillingness to talk about your performances, you may understand that there is not much left for you in this job. Again if he assigns some important tasks to other team mates or has been doing so for some time, you know your services are not required anymore in this company. Relationship matters a lot. If you are working with a bad manager, if your team mates are not co-operating and you have tried to mend those relationships, you need to quit. Before taking the final decision, you must try to analyze if any of your habits or behaviors have led to this uncomfortable situation between you and your boss or you and your colleagues. Besides all these, getting a new secured job is one important factor behind your quitting the present job. Don’t take any big decision in the heat of the moment. Continue with the present job, with all dissatisfaction, till the point you get better opportunities. Just as making good impression at new workplace matters, leaving your old office without burning bridges also matter a lot. It requires strategic planning to quit a job. You must know ‘how to leave a job’ once you have taken the final decision. The first person to inform about your decision is your boss. You must tell your team lead or manager first because they must not know from someone else. You may use email, formal meetings or any group meeting to communicate your resignation, depending on your relationship with your manager. Once you are sure about the date you want to work last, you must give a notice. A 15 day notice period is required as your company needs that much time to search for a new candidate and train him. But a notice period of 1 month is mostly appreciated. If your company policies require you to serve more than that and the new company wants you to join early, you must talk with your manager or HR authorities. Be straightforward. Don’t lie about your new job or new role. Today one can connect with friends and colleagues in no time with the help of technology. If you reveal basic information, people will come to know and this fact may affect your friendship with your former colleagues negatively. Also this will help to keep your options open for future. Resigning from your current job, for any reason, does not mean you start coming late to office, leaving office early, taking unnecessary leaves, ignoring your targets, gossiping over cups of coffee throughout the day. Till the last day, you must act as a professional and fulfil all your responsibilities. In this way you can mend bad relationships and make sure you get the full payment of your term and relieving letter without any hassle. Be polite while talking to your manager. Don’t draw references of past disagreements. Ask him whether you can use his name for reference purpose. Your future employer may call your boss; so be graceful. Your resignation letter must be short and concise. It must not be a reflection of any sort of threats, negativity or complaints. The reason for quitting must be something like “I have got something that aligns with my career objectives” or “I want to experiment with my interests and for that I have found something new challenging”. Thank your boss for his co-operation and guidance. Lastly you must prepare for the exit interview. Devise a plan regarding how you want to complete your project work in the remaining days. Google through various sites to learn about typical exit interview questions and answers. Modify those according to your work experiences and skill sets and be prepared to face your boss’s questions. Life is too short to get stuck on one phase. 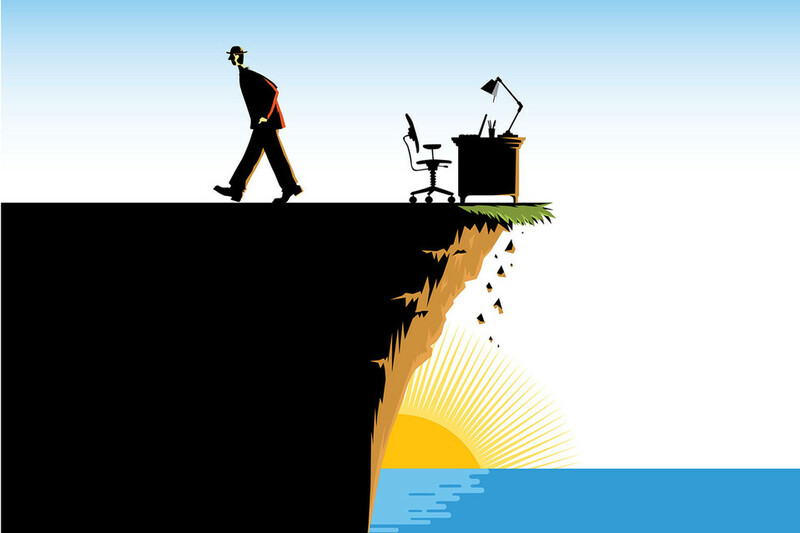 Move on to the next level of your career, if you find your present job unworthy. But quit gracefully and be happy about your decision.